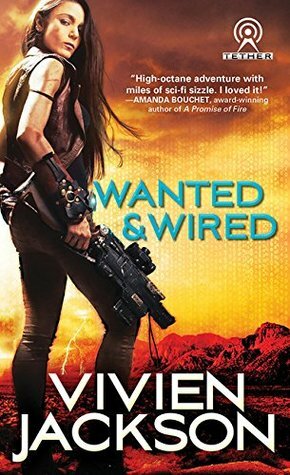 Wanted and Wired combines original concepts, witty prose, and enthralling characters for a place on my keeper shelf. Mari's always got something funny to say, Heron's convictions and behavior make him lovable, and the villains are convincing and complex. The argot gives the book a unique feel/setting that feels immersive. The plot explores excellent philosophical questions about identity and control. Plus, the way Heron uses his technology in the love scenes is inventive and spicy. I haven't read any other books quite like it! Welcome to the Geektastic Books July promotion! GeektasticBooks.com is a brand new website that showcases science fiction and fantasy books. 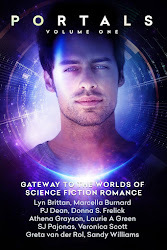 Science fiction romance is heavily represented and we are very excited about that! 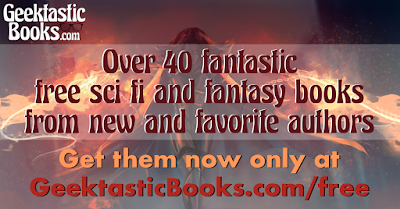 For the July promotion, there are over 40 fantastic free scifi and fantasy books, with science fiction romance from SFR Brigade members Aurora Springer, S.M. Schmitz, Athena Grayson, Kyndra Hatch, Arcadia Shield, and C.S. Wilde. Also, check out the author interviews from Geektastic Books on their new website here: http://geektasticbooks.com/read/category/author-interviews/ There is even a giveaway where you could win an all-new Fire HD 8 and a $100 Amazon gift card to fill it full of books!